Mental illness can be emotionally crippling - it robs you of your dignity and often leads to isolation. We rebuild self-worth and self-confidence, working alongside colleagues with the goal of fully reintegrating members back into the larger community. Hello, my name is Izzy. I’m a member of Potential Place, and I’m here to tell you about my journey and to open a door of hope to young adults who struggle with mental illness. Mental illness is real. Instead of making mental illness a dark shadow, and having stigma attached to it – and all the fear that it creates in people to not reach out for help – we can create light and hope for people who are suffering. If we educate and create mental health awareness, people will no longer have to face mental illness in the dark or alone, scared and isolated. I’m currently 25 years old, I was adopted as a young child, I was born in Poland, and when polish social services apprehended me, I was found in deplorable conditions taken to an orphanage where I was adopted. I had suffered neglect and abuse in my early child hood years, which was damaging to my health development both physically and psychologically. I had inadequate nutrition for my brain development as well as inadequate caregiving for my emotional development. My adoptive parents who were supposed to love me and protect me from harm, repeatedly abused me physically, sexually and emotionally – abused me for years up until I got to my later teen years. I ran away from home, ended up on the streets, homeless, living in shelters, and having to survive, I got into prostitution. I attempted suicide in grade 10. I recently went through an extensive psychological assessment which resulted in diagnoses of PTSD, generalized anxiety disorder, panic disorder, major depressive disorder, intellectual disability, learning disabilities, along with features of avoidant and dependent personality disorder. I also learned that my biological mom’s alcoholism left me suffered with brain damage, and now going through the process of an FASD assessment. When I first became aware of Potential Place I found it overwhelming; however, I continued attending despite the level of anxiety I felt. I needed people that understood what I was going through during this stage of my life, so I came up with an idea to start a young adult program so young adults can have a place where they connect with people their age, and get support building their goals and skills while steering them with the right resources and to help manage their mental health without judgement and shame. Young adults need support for their wellness – so they can engage themselves by going to school, or maintaining a job in the community to create meaning in their lives. They need to have a support network – so they can have the confidence to face their challenges and barriers – and so they can become independent and know that their voice matters, and it’s ok to speak up and to reach out for help. Everyone needs that chance in life to have the opportunity to succeed, to grow and discover who they are as person and not just a diagnosis or a label. Potential Place is a unique community and a place that has been my key support and I cannot imagine where I would be in life without Potential Place. It has been a place where I can work towards my educational goals, build relationships and feel part of something bigger then myself. Feeling like I am part of a community where people understand my strengths and weaknesses does make a big difference in my life. I don’t have family support and a part of me will feel empty but I now see that family can be the people like the community of Potential Place, and the community of school, and friends and other supports I choose to have around me. I sometimes I feel vulnerable and scared to show my emotions but Potential Place hasn’t judged me and I don’t feel ashamed during my hardest times. I am accepted for who I am on my good and bad days. Potential Place community has been there for me when no one else has been there for me. 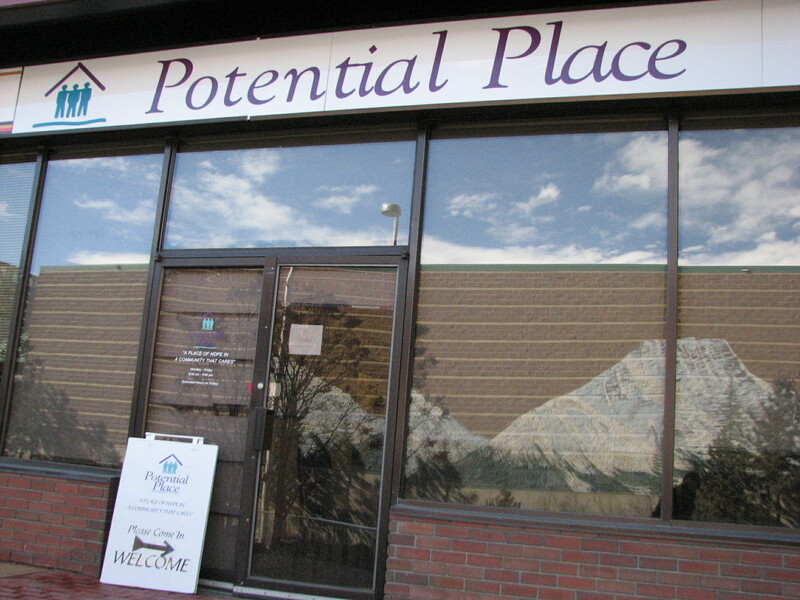 In a world of misunderstanding, Potential Place is a safe place that offers recovery through acceptance and opportunities to work side-by-side with professional staff in a structured work-ordered-day, one that is pre-vocational and which often-times, offers members opportunities for transitional, supported and independent employment in the community. 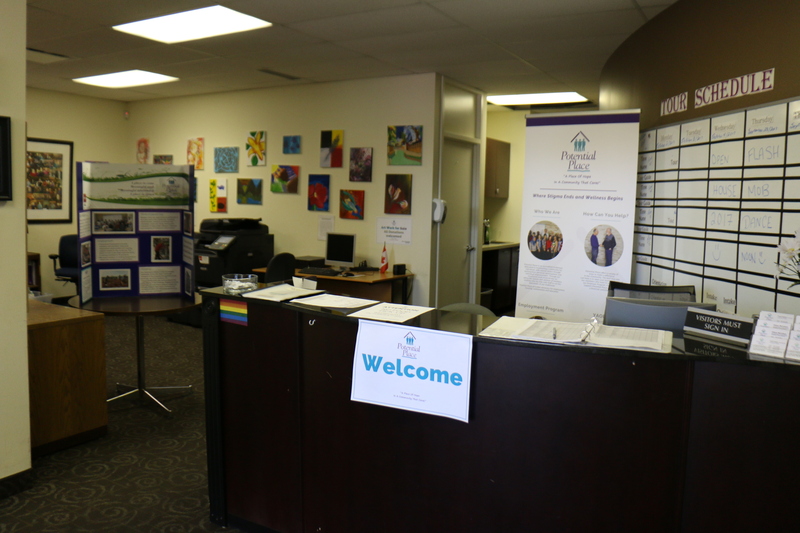 Since 1995, Potential Place has been dedicated to building a community that cares for individuals suffering from mental illness. Potential Place is a voluntary, caring community that offers a place of hope, dignity and growth. Like most Clubhouses world-wide, Potential Place is defined by values of acceptance, empowerment and egalitarianism. We seek out and obtain employment opportunities for our members through initiatives like our Employment Program* and provide ongoing support, coaching, and mentorship to our members. Potential Place advocates for housing for our members. In addition we have two small apartment buildings that house 25 members who live independently. 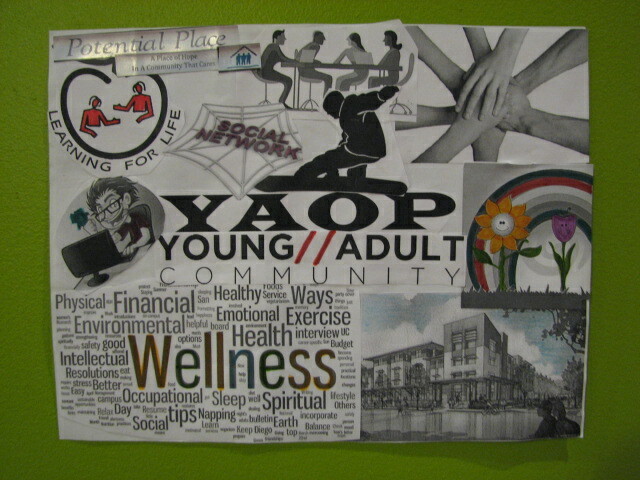 The YAOP (Young Adults of Potential) provides the opportunity for peer to peer engagement between young adults transitioning from youth programs into adult programming. The age range of our young adults are from 18 to 32 years. The International Standards for Clubhouse Programs, consensually agreed upon by the worldwide Clubhouse community, define the Clubhouse Model of rehabilitation. The principles expressed in these Standards are at the heart of the Clubhouse community’s success in helping people with mental illness to stay out of hospitals while achieving social, financial, educational and vocational goals. The Standards also serve as a “bill of rights” for members and a code of ethics for staff, board and administrators. The Standards insist that a Clubhouse is a place that offers respect and opportunity to its members. 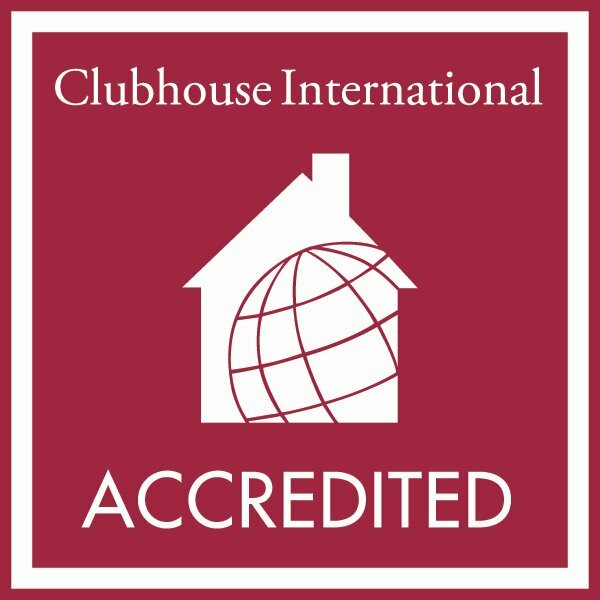 The Standards provide the basis for assessing Clubhouse quality, through the Clubhouse International Accreditation process. Membership: ensures members that their participation is fully voluntary and that they can access all the opportunities available to them through CI Clubhouses. Relationships: describes the unique collegial relationship between Clubhouse staff and members. 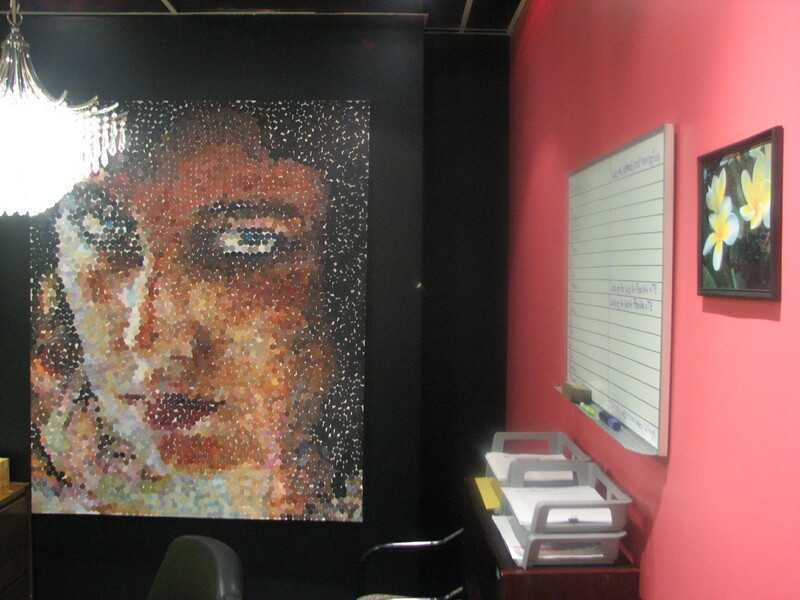 Space: emphasizes the importance of creating a dignified, attractive environment where important work is carried out. Work-Ordered Day: describes the structure of the day-to-day activity within a Clubhouse, organized to help members develop self-esteem, confidence and friendships, which make up the foundation of the recovery process. Employment: ensures that Clubhouses offer members organized, effective strategies for moving into and maintaining gainful employment. 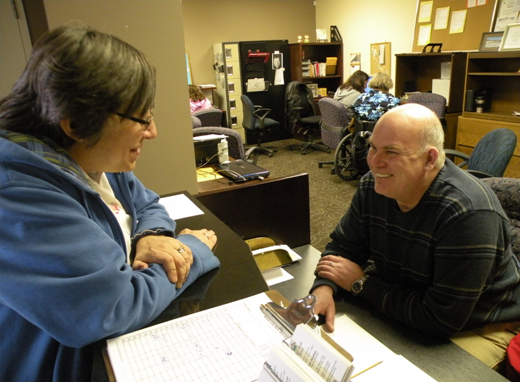 Members have access to: Transitional Employment Opportunities; and Supported, and Independent Employment Opportunities. Education: ensures that Clubhouses offer members effective opportunities to complete their education. Functions of the House: addresses the basic requirements for meeting members’ needs, with an emphasis on social and health care services. Funding, Governance and Administration: describes requirements for overseeing and managing Clubhouses. For complete list of the 37 Clubhouse International Standards, please click here. Please also visit this link to view our submission to Alberta Health Services regarding the standardized statistics that they require, and that form a part of the public record for the funded agencies they serve. 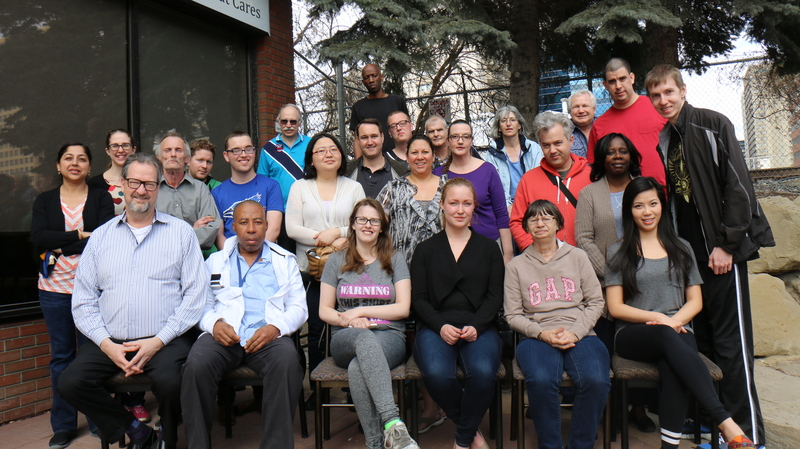 The work-ordered day engages members and staff together, side-by-side, in the running of Potential Place.We focus on strengths, talents and abilities; therefore, the work-ordered day does not include medication clinics, day treatment or therapy programs. The work done at Potential Place is exclusively the work generated by Potential Place in the operation and enhancement of the community. No work for outside individuals or agencies, whether for pay or not, is acceptable work at Potential Place. Members are not paid, nor are there any artificial reward systems. Potential Place is open five days a week and parallels typical working hours. Potential Place is organized into one or more work units, each of which has sufficient staff, members and meaningful work to sustain a full and engaging work-ordered day. Unit meetings are held to foster relationships as well as to organize and plan the work of the day. All work at Potential Place is designed to help members regain self-worth, purpose and confidence; it is not intended to be job specific training. Members have the opportunity to participate in all the work, including administration, research, enrollment and orientation, reach out, hiring, training and evaluation of staff, public relations, advocacy and evaluation of Potential Places effectiveness. Transitional Employment provides members with part-time, entry-level employment opportunities and the ongoing support they may need to stay on the job. We feel that Transitional Employment is not just about the tasks of the job, but also about maintaining a “working” ethic. We also provide assistance for Supported or Independent Employment opportunities, as we believe that this also provides members the self-confidence to eventually obtain permanent employment. We have developed TE program-specific marketing materials. We have developed a Gantt chart to track activities by time line and have reflected colleague hours actually worked in each activity area. We have developed a member booklet that dedicates approximately 20 percent of its content to Employment. The ED, the employment coordinator and clubhouse members on the Board of Directors have engaged the Board to assist with TEP referrals. We have a system in place to train members and staff to do TE development and we have formalized procedures with respect to database management and cold call recording and methods for approaching prospective employers. Members and staff have been involved in the training process. 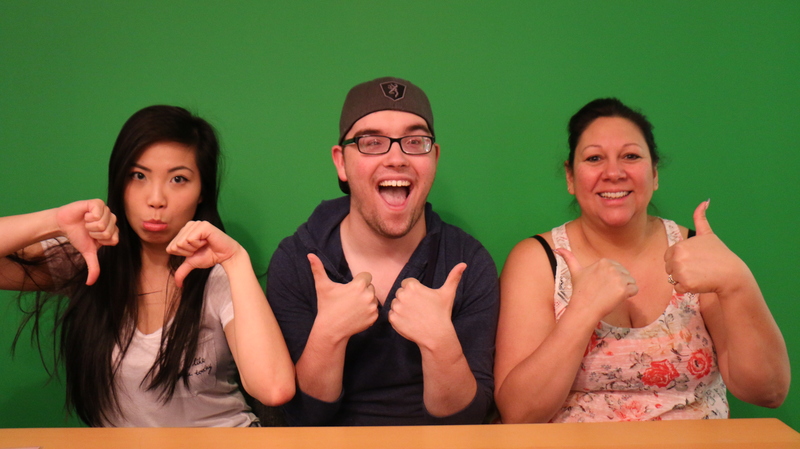 We believe Young Adults are highly energetic people who have much to offer our community. They are creative and artistic too! Recognizing that supported education and employment are inseparable components along the career continuum, The member benefits because Potential Place attempts to help members develop the skills and confidence needed to succeed in accomplishing their goals within Calgary’s educational community. Peers help tutor members in areas of Math, English and Computers. Potential students are also offered some mentoring and administrative guidance when required. Many people affected by a mental illness are interested in work but may not have the educational background or self-confidence to pursue their employment goals immediately. Many have had disrupted educational opportunities during their formative years. These member benefits can be vital to their ability to acquire work beyond many entry-level positions. Potential Place also offers an Education Grant Program for members. If a Potential Place member meets all of the criteria for eligibility, they may apply for school funding for up to $500 per member per fiscal year (April 1-March 31). Funds may be used for school application costs, testing costs (i.e. placement), books, and tuition. At Potential Place, social recreation is an integral part of reintegration into the larger Calgary Community and it is a very important aspect in all Clubhouses. It contributes to the wellness of all colleagues. All activities are based on members’ wants and needs. 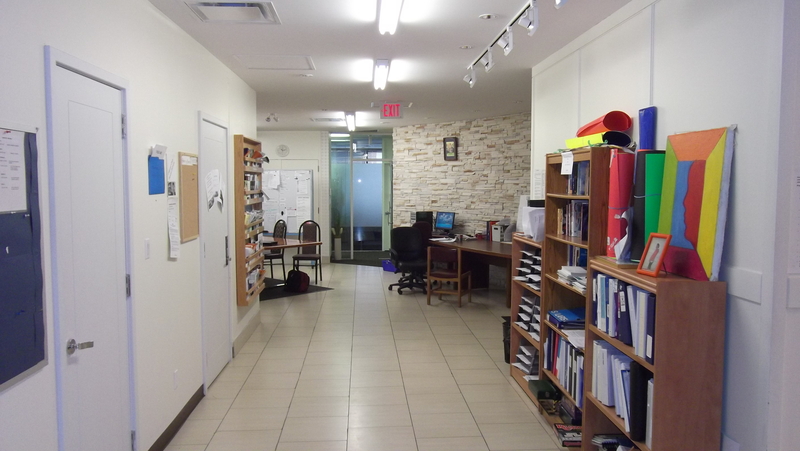 Examples of some activities held within the Clubhouse are social Coffee Houses, Karaoke Nights, Dances, film nights, arts and crafts and game nights. Activities held outside Potential Place include walks for coffee, evening/day trips, picnics etc. Poor preventive health care has created an epidemic among those with a mental illness. This trend results in a decrease in life expectancy of up to 20 years compared to the national average. Our wellness initiative at Potential Place is commitment to deal with these chronic issues. Potential Place is committed to providing members the opportunity to address issues impacting their overall health. We have begun an initiative that focuses on assisting members with making healthier lifestyle choices that promote: Healthy eating strategies, Healthy exercise strategies, and Decreasing overall weight. Our Bistro has decided to make healthier menu choices such as baked goods and nutritious meals vs. chocolate bars, water and juices vs. soft drinks and well-proportioned meals for $4. We have well-priced coffee and bottled water. Our members are directly involved in menu creation, running and managing the kitchen as well as the Bistro. Each morning we start the day with stretching (ie: Yoga & Tai-Chi). We have a wellness lunch twice a month to educate members on healthy eating and nutrition. Also, every Friday evening we get together and do something fun (Bowling, Billiards, and Movies etc) for our social wellness. Mental and physical health is fundamentally linked, so it’s important to pay attention to both! In 2014, a Social Return on Investment study was done by Success Markets Inc., and Charity Intelligence indicating an SROI of 7:1. According to the findings of this study, roughly 372 Alberta residents with mental illness would struggle to find or maintain employment, a sense of community and personal wellbeing each year without the intervention of Potential Place. Their physical and mental health would suffer as a result, and the Alberta government would incur significant extra costs. This preliminary estimate was produced using conservative assumptions and shows that an average beneficiary of Potential Place appears to receive a best estimate of approximately $24,000 in lifetime benefits from things like employment, housing and decreased long-term medical expenses at a cost of around $7,000 per client. At the same time, greater society appears to save roughly an additional $24,000 per beneficiary in cost avoidance of public assistance, homelessness, and healthcare expenses. Donations to expand our clubhouse programming are welcome at any time. To donate: please click here or contact Allison McCallum @ 403-216-9445. Host a 3rd Party fundraising event: We are always looking for new ways to fundraise. If you would like to be a sponsor or have fundraising ideas click here and share your ideas. Become part of our Board of Directors or Committee’s: If you would like to become a board member or participate on one of our board committees click here. Social Enterprise: We are looking for innovators to help develop initiatives that foster mental health equality allowing our organization to become sustainable, create employment for our membership and achieve a stronger community. Potential Place can help you fill entry-level positions, complete high-volume repetitive tasks, and meet the demands of peak time work flow. All the positions we offer our members are part-time, from as little as 3 hours per day, a few days per week, up to 20 hours per week. Often, one full-time position is divided into morning and afternoon shifts to create two jobs. We have relationships with employers in a variety of sectors. Give us a call at (403) 216-9250 or click here . 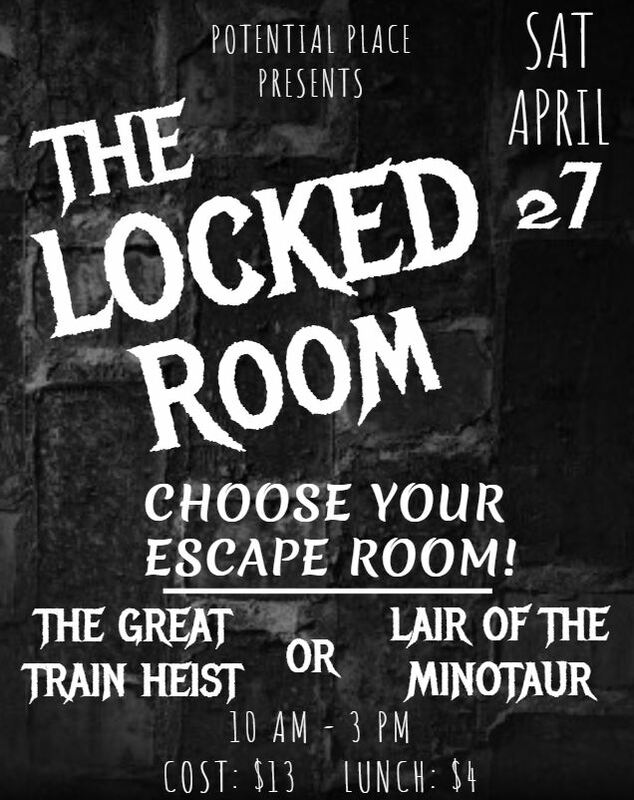 We can set up an opportunity to review this with you. Our commitment begins with a consultation to make sure that the job is suitable for our membership. This includes sending one of our staff to your work site to learn the job and ensure that our members can perform the duties consistently and accurately. Potential Place members are then trained on the job, by us, until they are ready to perform their work independently, productively, and to your company standards. Maintaining contact with you in order to monitor job progress, our staff will gradually withdraw from the work site as the members become confident and proficient at their job duties. Members are paid directly by you at the prevailing hourly rate for the job; Potential Place does not receive a commission or referral fee. Should a member be absent for any reason whatsoever, a staff member will cover the job at no cost to you. In the event that the job match is not suitable, we will also provide coverage until a replacement has been recruited and trained. A member will perform the job you provide for up to nine months. Once they have completed their placement, that member will leave to pursue other opportunities. We will then recruit and train a new member to replace them. The continuum of employment opportunities we offer at Potential Place is considered our most important activity. It builds the ties of support between our members and the community through which personal strength and self-confidence are nurtured. 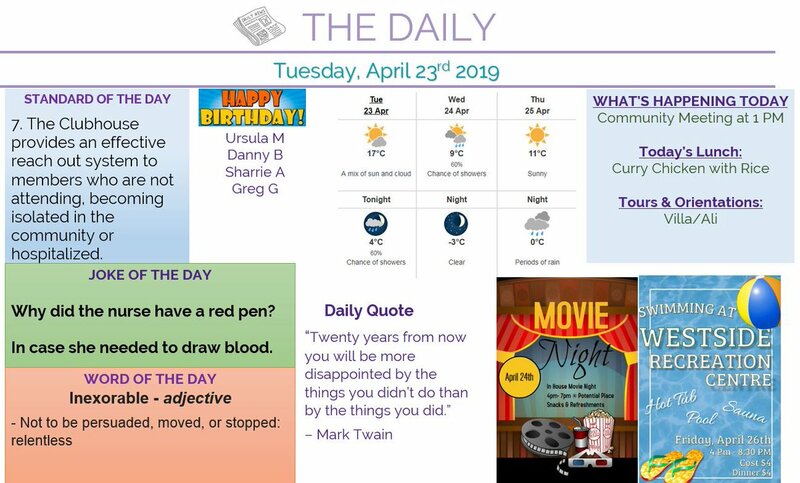 Here's the Daily News for Potential Place for Tuesday, April 23rd.